In a pan add oil and splutter mustard seeds. Add dried red chilies and curry leaves. 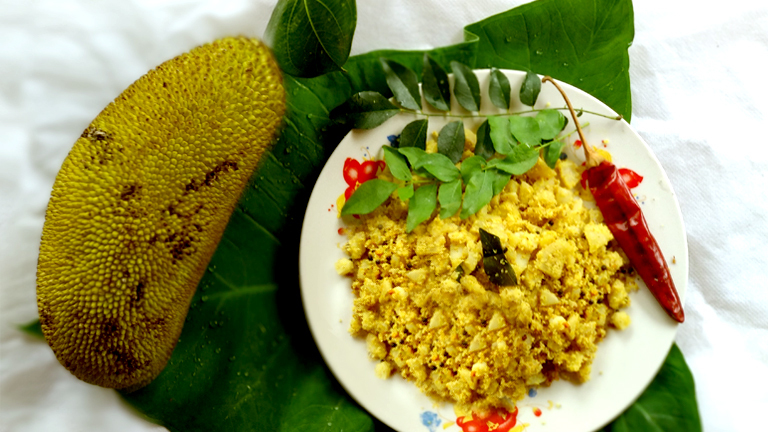 To this add the jackfruit seeds and punchu. Add required amount of water and allow it cook. To this add coarsely ground coconut, cumin seeds, garlic and curry leaves. Close the lid and cook for another 2 minutes. Sauté till water reduces and thoran becomes completely dry.